Cardiovascular activity offers many physical and mental health benefits.Even though it may seem incredibly boring and repetitive, being active can be the greatest gift you can ever give to your body. Here are some top reasons why you should never ditch cardio. Cardio strengthens your heart, boosts your immune system and helps to prevent diseases such as heart disease, diabetes, obesity, cancer and more. You might notice that you hardly ever get sick if you exercise regularly. Doing cardio on a regular basis encourages fat loss and helps you maintain your weight. You’ll notice that fat literally melts off if you combine regular cardio sessions with weight training. Similarly, being more active will enable you to eat more with low chances of gaining weight. When you finish a sweaty cardio session, your mood will be elevated and will feel pretty good about yourself. Research has shown that cardiovascular exercise is a more effective treatment for depression than antidepressants. Regular cardio sessions prevent mental illnesses such as Alzheimer’s disease and keeps your mind young. In addition to that, it boosts your concentration and productivity levels at work, enabling you to get more done. The “good” cholesterol, high density lipoprotein (HDL), will automatically be boosted through cardio exercise and will reduce the amounts of “bad” cholesterol, low density lipoprotein (LDL), in your arteries. 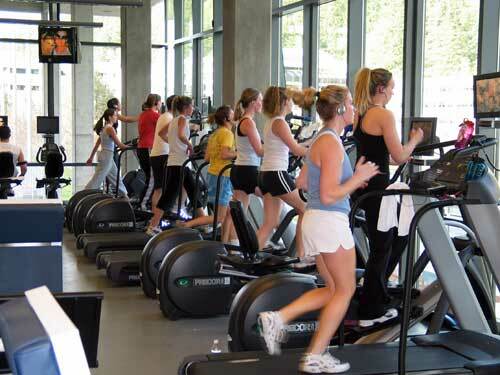 Cardio increases your blood circulation and helps to transport nutrients to your muscles much faster. A high endurance also decreases your rest time between sets and makes you stronger. Exercise is the real fountain of youth. Cardio will boost your metabolism and slow down aging as we get older. You will also notice much healthier and younger looking skin through exercise. With all the physical and mental health benefits, regular cardio sessions will extend your life and help you live longer. The added bonus is that you will be in your best condition as you age with low risk of mental or physiological diseases. It doesn’t matter how old you are or how out of shape you may be. Cardio is something that should be practiced by everyone, whether it is high intensity sprint intervals or slow paced walking. If you are a beginner, start off slow and gradually increase your physical activity daily. There is nothing more rewarding that watching your endurance improve on a weekly basis.